The second largest island in the Mediterranean, Sardinia is surrounded by marine caves and cliffs shearing into the sea. You can dive here all year round, but holidaying in May, June or September is perhaps the most pleasant. If you are visiting Sardinia in July or August, or there are more than just one or two of you, then we recommend you book your diving in advance. Also, accommodation prices can be double at this time. Not all dive centres in Sardinia accept credit cards. Even if yours does, they are not always able to confirm the transaction owing to the problems communicating with the bank. If possible have a back-up way to pay. Sardinia has three airports: Alghero in the North West, Olbia in the North East and Cagliari in the South. Ferries to Sardinia leave from Italy (Genoa, Livarno, Civiavecchia, Naples and Palermo) and France (Marseille and Corsica). Car hire can be expensive. If you are booking a holiday it may be cheaper to book car hire at the same time. Get a quote from Budget Car Hire here for typical prices. The food is excellent: Italian with some peculiar Sard specialities. Don't be afraid to follow tiny signs down back roads to restaurants - you'll often be rewarded with an excellent meal in a beautiful location. Sardinia has three airports: Alghero in the North West, Olbia in the North East and Cagliari in the South. Direct flights are available from many European countries. Ferries leave for Sardinia from Italy (Genoa, Livarno, Civiavecchia, Naples and Palermo) and France (Marseille and Corsica). Tell us about Sardinian dive centres you have used: write a dive centre review. Open April to October. Italian, English, French and Spanish spoken. "Scuba diving, snorkelling and PADI courses in the Marine Protected Area of Tavolara and Capo Coda Cavallo. Here the particular richness and the diversity of the underwater environment (walls, canyons, pinnacles, caves, wrecks) guarantee dives of every kind, able to satisfy even the most demanding divers. All �framed� by extraordinarily limpid water. Open from April to October, Blu Infinito is a S.E.A. (Scubapro Educational Association) diving center that means not only high quality standards for the equipment for hire but also that you can try the new products of this brand leader in diving equipment. " Open from May to November. Caters to families, kids, naturalists and photographers. "Large safe and fast 9 meter rib "
A well organised and friendly company who specialise in diving caves and swim-throughs. Two RIBs (rigid-hull inflatable boats) go out 4 times a day to local dive sites, usually not more than 10 minutes away. The boats are split roughly according to divers' experience. They can accommodate 60 divers a day. Italian run but English, Arabic, French and German also spoken. Nitrox courses. Full equipment hire available with 15l steel tanks as standard, making for lovely long dives. Underwater photographers are well looked after and the staff are very good at alerting you to the rare or unusual animals you're likely to see. Open all year with prior booking. Highly recommended. "Myself and my 2 sons did our Padi open water course here. Francesco was our excellent instructor. We felt safe at all times. His teaching was very clear and his language skills excellent. All the staff were friendly and helpful and made us feel very relaxed. The equipment was in good condition and well maintained. I would highly recommend them. " "The company were very good and helpful. The kit was in very good condition and looked reasonably new. We had no problems with any of their hired kit besides a leaky O ring, which one of the dive guides found when loading the tanks on to the boat. Payment - Cash only there is a cash machine located on the side of the harbour in a wall but it does not appear to be reliable. Cost of diving approx 55 Euros per dive which decreases the more dives you do. I would recomend this company very highly to people. Very good value for money. Much better than quite a few places I have dived recently - helpful staff, good diving, kit in great condition. " "The Diving Isola Rossa, working since 1994, is owned by Giovanni and Roberto Ugnutu. Giovanni, who has more than 20 years of experience in this field, is the general manager of our center and he is helped by his son Roberto, PADI and EFR Instructor. Underwater we are assisted by Dario and Marco while Paola and Danila take care of the beach. We are based on one of the most beautiful beaches of north-western Sardinia; 30 mt far from the embarkation point. We have classrooms for the courses, spaces for the equipment and a technical room with compressors, torches recharge and maintenance of the equipment. The Diving Isola Rossa follows the Padi method and since 2004 new courses from H.S.A. (handicapped scuba association) are available. Average cost for one dive with personal equipment is 35 Euros. We also offer apartments for groups. " Padi Gold Palm 5 Star Resort. "The staff are friendly and professional, but specially the dive sites are wonderful. I have never see so many fishes in the Mediterranean area, really great. Two big inflatable boats, maximum people onboard twelve, six people for every guide, small groups. The costs are like every where in Italy, about 35/40 euros per dives, they have packages, good equipment cressi brand new. They can find accommodation. If you go there before June and after 15 September, they have very good offer for diving and accommodation, special price for groups minimum 6 people. " "Run by Alberto and Lavinia. Very Professional yet fun people to dive with. The location is excellent with great dive sites. Just back from 3 days diving and can't recommend the dive centre highly enough. Accommodation was organised through the dive centre at a very reasonable price. One of the best areas I've visited. Lovely beaches, good bars and a great dive school. " "Best dive center in the area, I try all of them! Nice people, very helpful, very professional. Highly recommended. They will arrange accommodation: b and b, hotel, house etc. " "Very hot on safety but don't lose sight of the need to have fun. Took extra care of my partner (nervous open water diver) with very thorough refresher dive before taking her out "for real". Good briefings in English as well as Italian. Excellent, friendly team. " "Asinara Roccaruja Diving Center is a PADI Gold Palm 5 Stars Resort located in Stintino, north-west of Sardinia Island. This dive centre is authorized for diving activities inside the National Park of Asinara Island. The dive shop is near to the sea on a private beach with own floating wharf, customers free parking, caf�, restaurant, pizzeria. The diving center also offer those other services: snorkelling, sailing charter, sailing school, windsurfing school and rent a inflatable boat. They have 2 maxi RIB with 200HP engines really fast and comfortable. Oxygen units and Medic First Aid Kits on board. The diving center offer a lot accommodation: hotels, B B, Residences and private houses. It's really ok for value for money. Special price for dive packets and always seasonal offers. I like this place for your wild landscapes and for the friendship of the people. The dive sites are really beautiful. I recommend it really, for me it's the best diving center in north-west Sardinia." Blue Zone Sardinia offers guided dives by boat in all the "Bocche di Bonifacio" area: Costa Paradiso, Punta dei Francesi, Monti Russu, Capotesta and Santa Teresa di Gallura, Isola di Spargi, Isola di Lavezzi, Scoglio del Perduto. Most of the best dives are around Maddalena, the one exception being the trip to Corsica and the loads of enormous grouper there. It's about 45 min in the RIB from Capo d'Orso. Padi Gold Palm 5 star and BSAC Resort.
" I have always wanted to learn how to scuba dive, but was too afraid of deep water to try. This year my husband and I decided to give it a go, and we picked Nautilus, as we holiday in Palau every year. I June visited the dive shop and met Vincenzo, who was very friendly, and explained everything about doing the Padi OW very clearly, including the self-study internet test. I booked the course and 4 extra dives for July, but these dates had to be changed as I wasn't well and Stephanie (who I had emailed) was very helpful and friendly. Once we sorted out dates (and made it back to Palau) we did our course with Richard, and it was great, I felt completely safe, and had a lot of fun. We passed the course, and on a subsequent dive, after I had a panic attack and had to go back to the surface, VIncenzo, Richard and Dan (the other instructor) were really wonderful in reassuring me and making sure that I made it down again for the second dive, without fear. The sea around Palau, La Maddalena, Caprera and Lavezzi is a like a dream, we saw huge groupers, eagle rays, barracudas, corals and more fish than I can mention. Scuba diving was an amazing discovery and the experience was made even more special thanks to Stephanie, Vincenzo and the boyzzs, who despite working very hard never lots their sense of humour. Thank you!! " Dive over 50 spots from Tavolara island and Capo figari to Maddalena archipelago and Lavezzi island. Open June to October. Mostly dive the Parco Nazionale dell'Arcipelago di La Maddalena. PADI, SSI. Open from April to October. PAD, CMAS, FIPS. Speak Italian, English and French. "Wonderful dives, great team and a relaxed atmosphere. Recommended. " "A really excellent family run dive school. Good quality equipment, very professional with a decent briefing pre-dive. " "Head to the local padi dive center for info/tour, it has a friendly atmosphere and I finished my openwater course there. It's in Santa Maria de Naveressa in the tourist port. " Operate on S. Pietro Island, where pristine and shimmering sea surrounds the coast of the island and opens towards the Mediterranean Sea. We organize scuba diving in a sea rich in marine life and SSI courses, also for children, from beginner to Divemaster, as well as various non-diving activities such as the wonderful tours of the island or the exciting snorkelling trips. 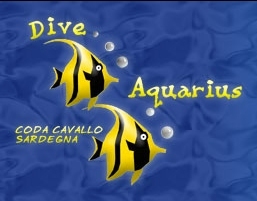 "Abba is a well equipped Diving centre in the South West of Sardegna, Sulcis - Iglesiente area. You can find us at Buggerru harbour. We offer diving courses and diving trips, daily boat tours, environmental awareness and trekking trips. " 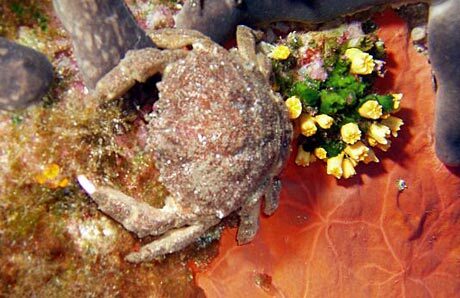 "I used Ajoo Dive in Iglesias, Sardinia, and LOVED it. The dive guide (PADI) was really great. I went on my first cave dive with them, and couldn't have been more impressed." "Centro Immersioni Sardegna in Costa Rei are a super small dive centre. They are a hard working team, safe and thorough. Our three teenagers did their PADI Open Water course in German although English was no problem either. We all went on a family dive at the end. We stayed at the Campsite Le Dune down the road in a bungalow. A successful holiday all round." "
Speak English and Swedish. Courses to Divemaster PADI or SDI, and TDI Tech Courses from Nitrox to Advanced Trimix. 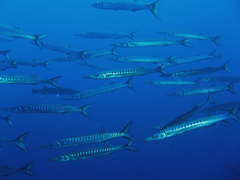 Dive sites include Salpi (wreck), Secca di Quirra and Capo Ferrato. "I have dived with Air Sub for several years and have found them to be organised and professional and amongst their staff can speak most European languages. I would recommend then to anyone visiting Southern Sardinia." "I dived with Aquaman in Villasimius. They were great and their English was OK. They insist on taking small groups and the equipment was good. We stayed at a brand new small hotel called hotel Girasol. Extremely friendly and helpful and very reasonable "
Following Davide Morelli�s advice (manager of the diving center), I had booked two 10-dive packs for my partner and me (10 dives each, 2 dives per day, 20 dives on aggregate in 5 days). Thus, I got a pack discounted price of 50 euros per dive, and paid 1000 euros in advance. We were able to dive on the first day but problems began on the second day. Due to the diving center's internal problems, such as lack of personnel or not reaching their threshold number of divers, the fact is that we were able to dive for only 2 days at the end of the fourth day. When I brought up the subject of a refund for the 2 days we had not dived, Mr. Morelli sent a co-worker to tell me that he had decided not to apply the pack price and he was going to bill me for the full price (80 euros according to the co-worker). Given the situation, I decided not to dive on the fifth day, but he still made me pay for the 4 dives of the fifth day that we did not carry out. In a nutshell, I had booked 20 dives at 50 euros per dive, and I ended up doing only 6 dives and got billed for 650 euros, which makes it nearly 110 euros per dive! Now I understand the reason for the pirate�s skull of their logo! Obviously, I am not going to return to this diving center as long as Davide Morelli is running it. The harbour is at a 30-minute driving distance from the diving center, through a winding narrow road. In addition to that, Mr. Morelli charges you a 15-euro fee for the transportation. " OK if you go out of season, but if they are busy then you could end up with shore dives that would be better snorkelled. Check the I. Maldiventre dive write-ups page and don't be fobbed off with the inferior dive sites. Down from the Golfo si Oristano, set amidst long beaches and sand dunes. "The instructor is a very competent cave diver with many years experience. I found him a good guide, however to get the best from him you need to be fairly competent yourself. THey are a laid back dive centre, perfect for a relaxing holiday, and an easy-going approach, yet dig a bit deeper and you find the vast knowledge that has been accumulated over many years of coast and inland cave diving as well as sea diving. RIB ride very enjoyable along a super coast and knowledgeable info provided on the rock formations by an experienced speliologist dive instructor. Plan to re-visit Bosa diving and extend my cave diving experience in some of the extensive inland cave sites. Recommended. " "They are the worst dive operator I have encountered and disorganised to the extent of being unsafe. My first encounter with them was making a telephone booking with them only to turn up and be told that they had no booking for me. I eventually managed to dive with them two days later. On that day, nobody spoke any English other than the absolute minimum (so about as good as my vacation Italian) and the dive center was in total disarray. I was told to arrive at 8.45am for a 9am dive and we actually left at 10am. At the dive site, there was no briefing and the group split up, descending without the DM as and when they wanted to. I eventually descended with the DM though I was never buddied up. The DM took no interest in the welfare of the divers whilst in the water, though we did do a safety stop. After the dive, another driver dropped a lamp into the sea and was allowed by the DM to take on more weight and attempt a recovery on his own despite telling the DM that he had only 50 bar. In actuality he failed to descend and the DM spent 10 minutes recovering the lamp on his own. After this experience I decided not to book any more dives with the dive center and I would never dive with them again. " Offer film developing and video editing. Have four boats and provide PADI courses up to divemaster. Accepts credit cards. "Thanks to Pool Diving I have experienced a great Cave/Cavern diving. Good prices and excellent services provided. I'm definitely gonna dive with them again. They have 1 large steel boat and 2 dinghies. I spent little money for the accommodation in a very comfortable hotel in the city centre thanks to their help. For a diver Alghero is the place to go: cheap prices, great diving, very nice city." "Just a short note to thank Pool Diving for providing a wonderful and memorable scuba diving experience for me and my wife Laura. She has since found a new world to explore. Your professional, competent and knowledgeable staff made my wife feel safe and successful. So much that she will seek certification in our local area. We hope to return in October and hope to see you then. We are definitely recommending Pool Diving to all our friends." "Diving in small groups, very professional, high quality diving. Two tank dive costs 37 Euro per dive, incl. tank weights and guide. One of the best diving experiences, in the Mediterranean. " CMAS, PADI. Open all year. "I have dived all around the world...and I am sure Sérgio is without doubt the most friendly dive guide/manager in the world. He is very resourceful and knows every one around Alghero. From accommodation to camera spare parts...Sérgio can help you. This is the only place in the world that after saying: 'I'll be back', I really am back every year. The caves are great, only to match the world's famous (and best) Yucatan Cenotes. A well organised and friendly dive center, who specialises in diving caves and swim-throughs. Two - three RIBs, go out every day to local dive sites, usually not more than 10 minutes away. Underwater photographers/videographers are well looked after... Sérgio makes sure you have everything you need for your dive, he even carries your spare camera underwater for you. Great dive boat and good facilities. Great value for money. (Their dives and courses seem to compare favourably pricewise to others). Boat very comfortable with plenty of room. " Open April until October. Speak English, German and French. Open all year. Four boats. Dive the Capo Caccia and Punta Giglio areas, which are famous for their caves. Outings take place every day: morning and afternoon. Experienced guides are available to take groups round the local caves. Accommodation is available close to the dive centre. Speak Swedish and English. Courses to Divemaster PADI or SDI, and TDI Tech Courses from Nitrox to Advanced Trimix. Please send your questions, or add your comments, on this page and diving in Sardinia. Do you want to recommend a diving centre? Let us know. A map and booklet featuring 80 dive sites and centres. The climbing looks fantastic on the cliffs around the coast. Take your boots if nothing else. Sardinia has over 336 caves. We haven't done any caving here but a quick web search finds that these clubs have and their websites give more information: Croydon Caving Club, Red Rose and Spéléo Club de Figeac. The North coasts are often windy and excellent for windsurfing. I watched with interest a fly-fisherman cast into the sea in vain. There are not many large fish close to the coast. However, the "fly" the fisherman was using was an exquisite little shrimp-mimic which wouldn't look out of place framed and hung on the wall. It was a surprise to me that shrimps could be flies, or indeed that flies could be shrimps. But apparently a fly is anything that copies a fish's food stuff. The fisherman tied the shrimp-fly himself; I doubt that you will get anything as delicately done from fishing shops but we can put you in touch with a skilled fly-tier if you would like to buy some.